Fans of Eli Young Band know what kind of music this band puts out. Since their first album, lead vocalist Mike Eli captured listeners with his unique voice. The Texas band has been releasing albums since 2002, when they put out their debut self-titled CD. It wasn’t until 2006 when they released the CD Jet Black & Jealous that the band got a national following, and produced hit records on Top 40 country stations. That album, and the ones that followed, gave us many hits, including When It Rains, Always the Love Songs, Radio Waves, Crazy Girl, and Even If It Breaks Your Heart. 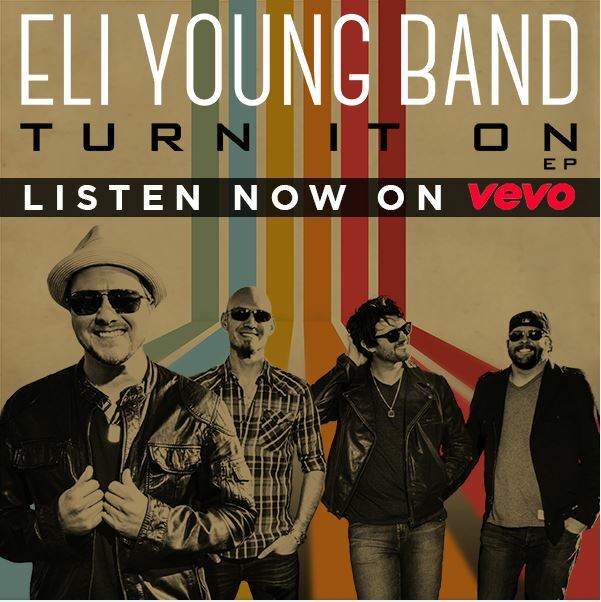 On March 10, Eli Young Band will release a new EP. This one is made up of four songs, any one of them could be a hit. I listened to all four songs this evening, and I finished wishing there had been more. The four songs you will find on the EP are Turn It On, Plastic, Your Place or Mine, and Drink You Up. The title track, Turn It On, will be released to radio on March 9. I hope every station will add it to their play list the first day. It is everything you expect from this great group. As good as the title track is, I personally liked the second song, Plastic, even more. The song has well thought-out lyrics, good melody, and great music. I’ll suggest now that the group ship this one off to radio, as soon as Turn It On makes it to the top of the charts. The third song, Your Place or Mine, is lyrically predictable. You know where it’s going when you read the title. A lot of people have had a ‘your place or mine’ person in their life. However, it takes someone like Eli Young Band to put that situation to music. The last song, is Drink You Up. The song is fast, the lyrics are catchy. I’ve never tried to compare alcohol to anyone, but this song does a good job of doing just that. 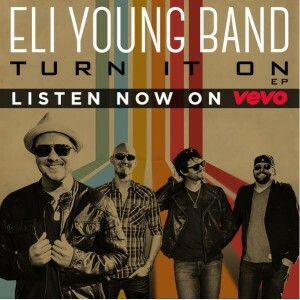 To keep up with all the news about Eli Young Band, visit their web site http://www.eliyoungband.com/. For more country music news, visit countryschatter.com.